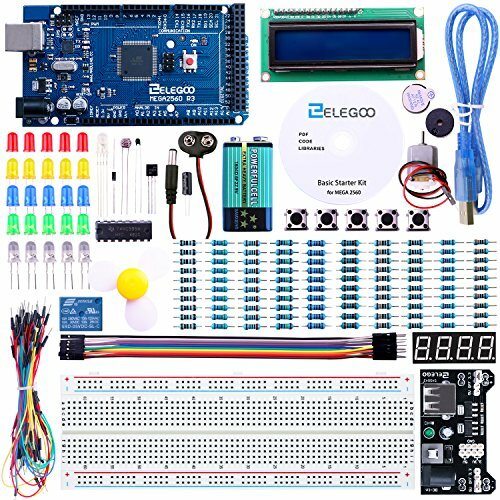 Elegoo Inc. is a professional manufacturer and exporter that is concerned with the design, development production and marketing of accessories of Arduino, 3d printers, raspberry pi and STM32. The cheapest and most basic MEGA2560 R3 kit for the beginner. Free PDF tutorial including project introduction and code will be provided in CD, you can save a lot of time searching them. With the newest MEGA2560 R3 development board + USB Cable and all the basic components. Nice package in the box with clear listing and CD.